HBO, CBS launch standalone streaming services in the US | What Hi-Fi? You might have noticed that video streaming is very much of the moment right now, with the likes of Netflix and Amazon helping to transform the TV landscape – and it's a trend that hasn't escaped the attention of HBO. In fact, the US company – home to such titles as Game of Thrones – is more than just sitting up and taking note after chair and CEO Richard Plepler revealed that its own standalone streaming service is on the horizon. The HBO service is due to launch in 2015 in the US. There are no plans to bring it to the UK at this stage - the company already has a working relationship with BSkyB, which sees many HBO shows on Sky Atlantic. For now, the company appears to be going after 10 million US homes that don't have pay TV. Plepler told an investor meeting hosted by parent group Time Warner: "It is time to remove all barriers to those who want HBO. We will work with our current partners. And, we will explore models with new partners. All in, there are 80 million homes that do not have HBO and we will use all means at our disposal to go after them." The move means US households will be able to get HBO without the need for a TV subscription, and it is a move that could prompt others to follow; not least because research has suggested that smart TV sales will reach 87 per cent by 2018. And sure enough, HBO's rival CBS has followed suit. Following soon after HBO's announcement, CBS revealed that its All Access streaming service is now up-and-running in the US and offering an extensive library of its content for $6 a month. Residents in 14 of the largest US markets can also stream local CBS stations live. For UK audiences, HBO content will continue to be available through BSkyB. Its Sky Atlantic channel has broadcast a number of HBO titles (notably Game of Thrones in recent months) and BSkyB CEO Jeremy Darroch revealed more about the partnership with HBO during the company's earnings conference call. According to The Hollywood Reporter, Darroch referenced BSkyB's proposed acquisition of Sky Deutschland and Sky Italia too: "We extended our relationship with HBO just this year, by the way also including things like co-production. My understanding is that it is pretty similar for Germany and Italy. It gives us exclusivity across the territory. "Our view, and I think it's HBO view as well, is very much that by working together we are going to create a bigger business for the benefit of both of us." 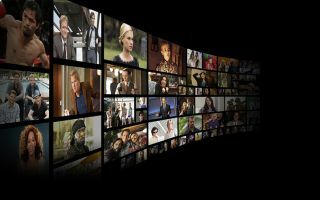 Sky launched its own streaming TV service, Now TV, back in 2012, which offers streaming access to its entertainment, movie and sport content without the need for a dish or an annual subscription. The app is available via computer, phone, tablet and other internet-enabled devices. In a letter to shareholders accompanying its Q3 2014 results, Netflix said it had long acknowledged HBO was going to be its "primary long-term competitor" and insisted that "it is likely we both prosper as consumers move to Internet TV". At the same time, however, Netflix admitted new US sign ups in the three months to 30th September only totalled "about a million" – taking it to 37.22 members Stateside, but lower than it had predicted and lower compared to Q3 last year. International sign-ups were also below its forecast, though the total of two million was up compared with Q3 2013. And the service said it won't pass on increased European VAT charges to consumers when they come into effect in January.